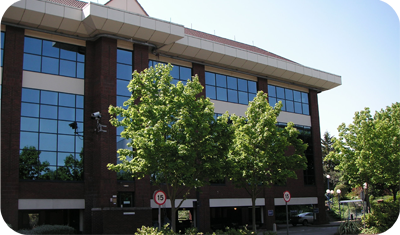 The Rank Group's offices, situated at Statesman House in Maidenhead, is a typical head office serving as a business centre and support hub for the subsidiary businesses and ≈ 280 members of staff attends on a daily basis. Although there is no restaurant or on-site contract catering facilities the 3 break out areas serve approximately 72,000 cups of tea annually and the coffee machines spurt out as many shots of coffee, if not more – let's say 100,000 shots annually. By all accounts ≈ 15,000 bananas are consumed each year and add to that a couple of apple cores, say 20,000 annually, and you find yourself with a small mountain of organic waste! Rank segregated the organic waste from their general waste, after everything that could be recycled had been recycled, and over time they replaced the large 10 yard FEL (≈ 7,500 litres) for non-recyclables, which was collected twice a month, with 4 x 240 litre wheelie bins which are collected once a week – going down from ≈ 15,000 litres to ≈ 3,840 litres a month and increasing their recycling rates as a direct consequence of this initiative. 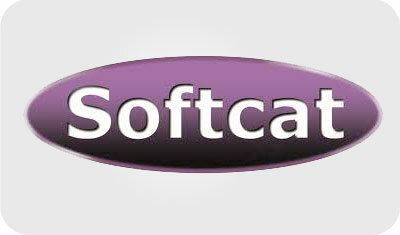 Softcat, situated on the Thames Trading Estate near Marlow, is one of the UK’s leading IT resellers, famous for outstanding customer service and they're passionate about employee satisfaction. Recognition as the Sunday Times No.1 Best Company to Work For is an achievement that demonstrates what a unique place Softcat is to work for. 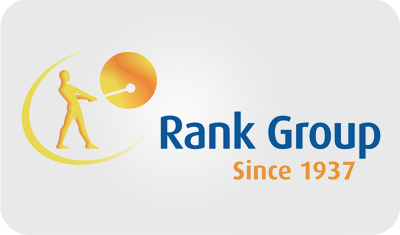 They recently came 4th in the 'Great Place to Work' UK Best Workplaces 2013 ranking, and 10th in the European Best Workplaces 2013 ranking, in recognition of their ongoing commitment to the welfare of their employees. 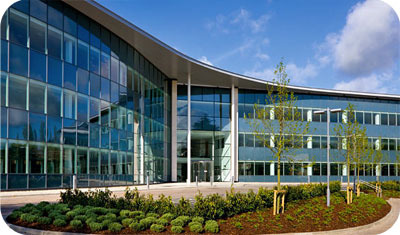 A typical head office with ≈ 380 members of staff attending on a daily basis. There is a communal kitchen where staff can prepare their own meals and they go through approximately 88,500 tea bags annually. 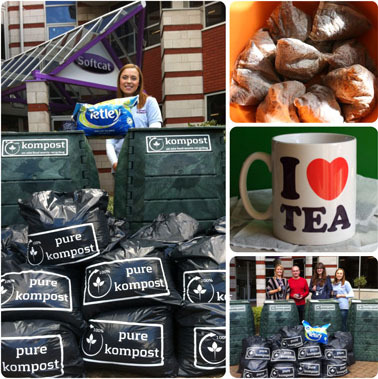 The 'tea bag composting' initiative came in June 2009, via the Green Team, and they have a worm kondo™ set-up with 5 units, turning out many bags of pure kompost™ since then. 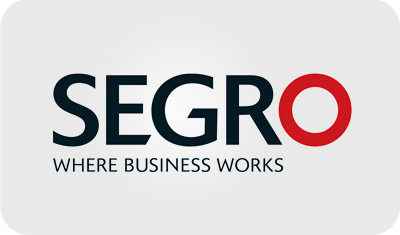 SEGRO is a leading owner, asset manager and developer of modern warehousing, light industrial and data centre properties, principally concentrated in London's Western Corridor (including the Thames Valley) and in key conurbations in France, Germany and Poland. 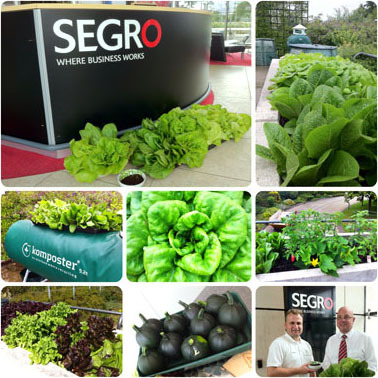 At SEGRO they believe that corporate responsibility is fundamental to the way in which they do business and that by investing in their buildings, their employees and the local communities in which they operate, they can create value for their shareholders. 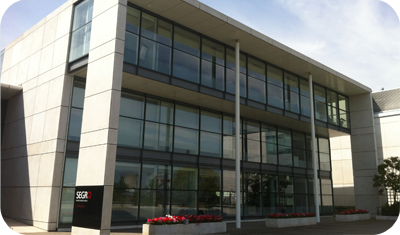 SEGRO's head offices, situated on the Slough Trading Estate, is another typical head office with ≈ 100 members of staff attending on a daily basis. There is a small staff canteen; serving ≈ 35,000 shots of coffee, pre–prepared salads and sandwiches, and a further 3 break out areas; serving approximately ≈ 36,000 cups of tea, add to that ≈ 5,000 bananas and ≈ 3,000 apple cores, and we have another small mountain of organic waste! In our second year with SEGRO we turned a large raised bed into a vegetable patch and the staff enjoyed home office grown produce like courgettes, tomatoes, salads & peppers. 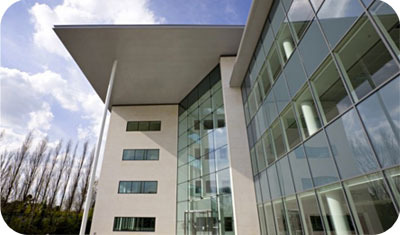 Eleven good sized conference rooms and 40 meeting and syndicate rooms are housed within the main Greenlands building and the adjacent River House building. These provide a selection of room sizes and layouts, all fitted with modern conferencing technology and complemented by a highly skilled on-site support team and dedicated business centre to help fulfil every requirement. 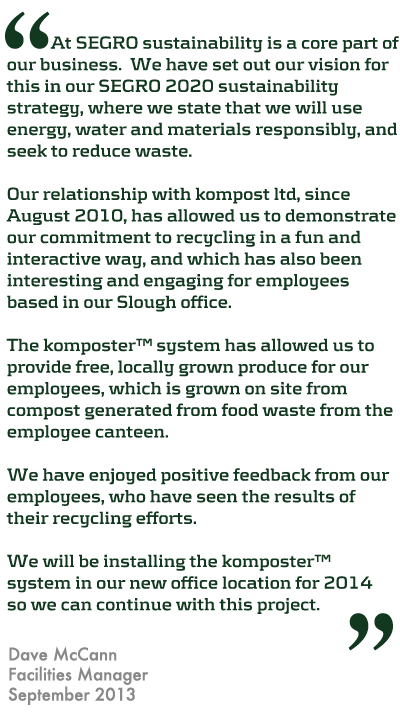 The Greenlands' restaurant annually serves ≈ 84,000 meals and ≈ 70,000 shots of coffee to a variety of diners – staff, hotel guests, conference attendees, wedding guests and even the Queen, as part of her Diamond Jubilee celebrations in 2012. 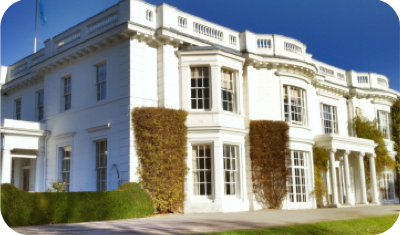 Since achieving BS ISO 14001 for Environmental Management in 2010, Greenlands has gone on to implement numerous systems to continue to improve their sustainability credentials. 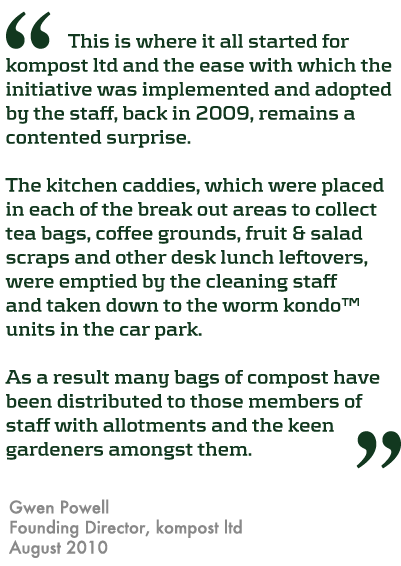 They have been awarded the Gold Award from the Green Tourism Business Scheme and are one of the few UK businesses to achieve the International Association of Conference Centers (IACC) Platinum Level Green Star Accreditation. Greenlands invested in 2 x 10.4t komposter™ units for their waste and recycling area and these units are looked after by the kitchen staff. 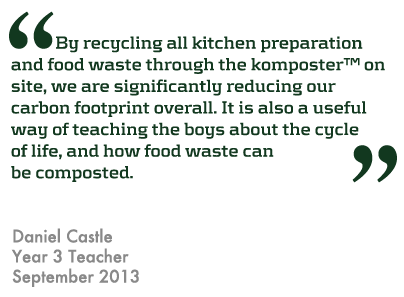 Seacourt, situated on the Horspath Road Industrial Estate outside Oxford, are a family owned business who has been trading concurrently since 1946. It wasn't until 1996 that they realised the significant environmental damage the printing industry is responsible for. Over the last 17 years, they have taken the company from a standard "dirty" printer to become the first closed loop, Zero Waste printing company in the World. 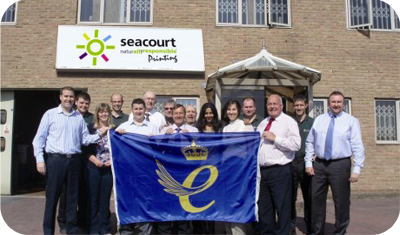 Seacourt is now known for its radical approach to the environment, they were one of the very first printing firms to achieve EMAS certification in 1999, an accreditation renowned for its high standards and stringent demands. 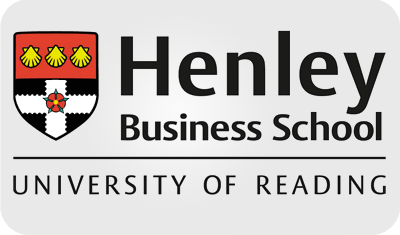 The company has been recognised as ‘one of the top three leading environmental printers in the world' by a worldwide printing association, and they have gone on to win TWO coveted Queen's Award for Sustainable Development. 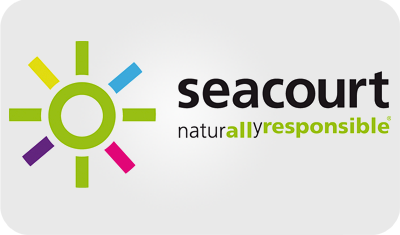 Seacourt's awards and accreditations, in recognition of their environmental approach towards the printing industry, are too many to mention here, but their tagline says it all: "Naturally Responsible Printing"
In 2009 Seacourt waved goodbye to their last general waste bin and achieved Absolute Zero-Waste to Landfill! They introduced their 1st, then 2nd and then their 3rd and 4th wormeries and welcomed their new colleagues (the Red Tiger Worms) to the Seacourt team! 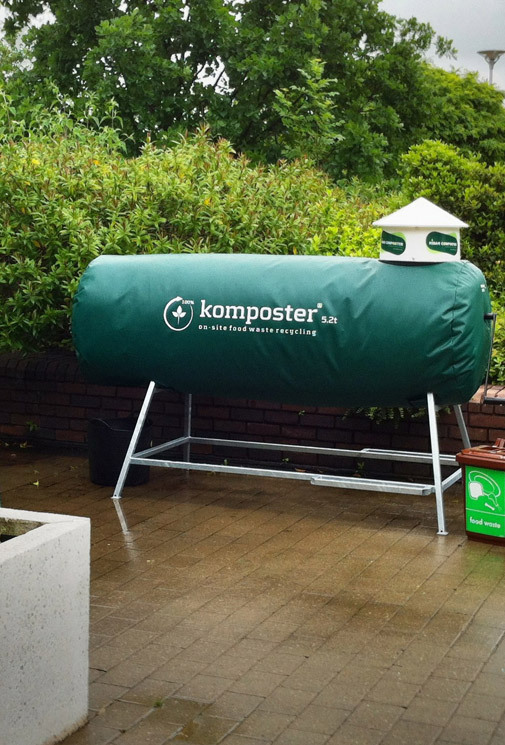 kompost ltd assisted Seacourt with a marketing campaign in 2010, 2011 & 2012 – by using vermicompost from their own wormeries, to grow chilli plants from seed, that were gifted to their clients at Christmas time. 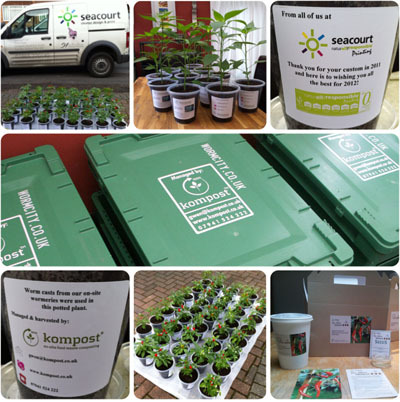 Again, with our assistance, Seacourt launched their Office Allotment Club in 2013. Compuware, the technology performance company, provides software, experts and best practices to ensure technology works well and delivers value. 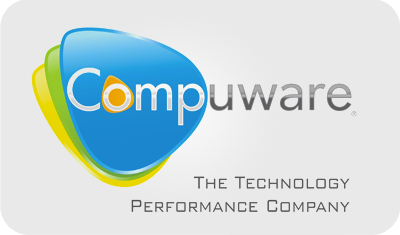 Compuware solutions make the world's most important technologies perform at their best for leading organizations worldwide, including 46 of the top 50 Fortune 500 companies and 12 of the top 20 most visited U.S. web sites. Taste, the on-site contract caterers, serve ≈ 13,000 covers annually – consisting of warm meals, sandwiches and salads all prepared on site – and the staff consume ≈ 19,000 tea bags and drink ≈ 26,000 shots of coffee annually! Compuware invested in 5 stacks of worm city wormeries, one for each day of the week, each with 4 worm trays = 20 trays in total! Each new member of staff at the Maidenhead office is briefed at their induction session about the wormeries and in the past two years the participation in "feeding the worms" have increased 4 times since the initiative was first introduced back in July 2011. 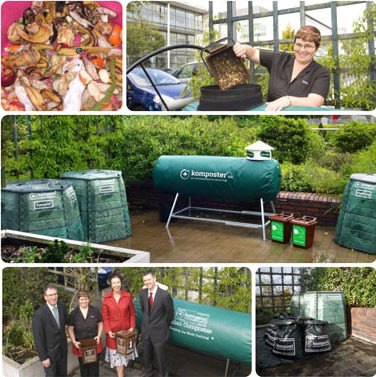 Compuware and Taste utilises the vermicompost for a herb bed and towards raising funds for charity, any surplus compost is gifted to staff to take home with them. 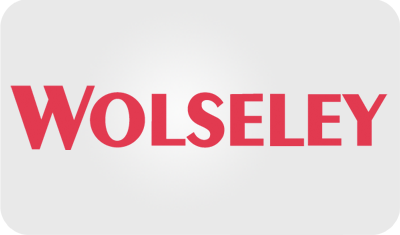 Wolseley UK is the UK operating company of Wolseley plc, the world’s number one distributor of heating and plumbing products and a leading supplier of builders’ products to the professional market. 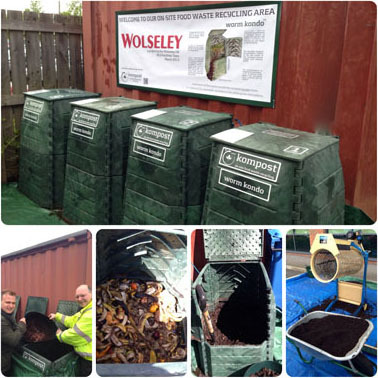 Wolseley UK recognises the importance of growing its business in a responsible way, addressing the issues of sustainability where practicable to do so. 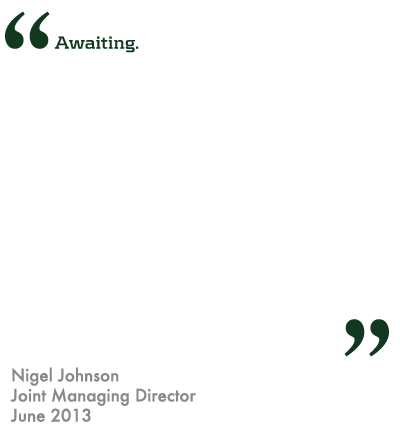 Sustainability is a key issue which has moved up the agenda in recent years. There is a broad based consensus in government and business that striving for sustainability is critically important for society. 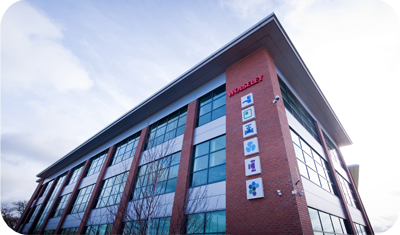 Wolseley plc became a member of the UK's FTSE4Good Index in 2006. They have an on-site restaurant; annually serving ≈ 9,600 meals plus ≈ 12,000 sandwiches and ≈ 21,500 shots of coffee, and a further 4 break out areas; serving approximately ≈ 228,000 cups of tea, add to that ≈ 12,000 bananas and ≈ 7,500 apple cores, and we have another small mountain of organic waste! 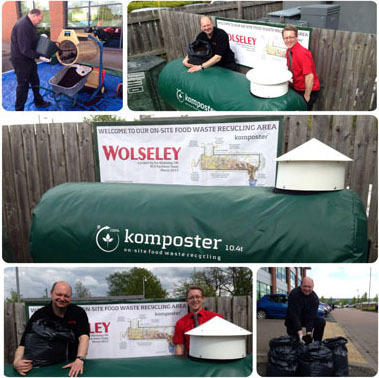 Following on from the Leamington Spa site achieving Zero Waste to Direct Landfill in May 2012 , it was a natural progression, and counting towards the continuous improvement of their ISO14001 Certification, to replace their 10 worm farms with 5 worm kondo™ units and installing a komposter™ 10.4t in-vessel composter. 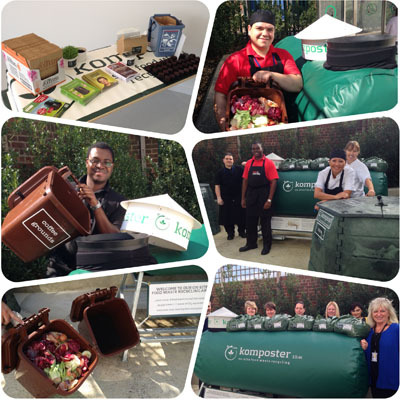 What this means is that the break out areas' and other office food waste scraps (like the tea bags, banana peels, apple cores and desk lunch leftovers) can be fed to the worms and food waste from the on-site restaurant (mainly prep waste and plate scrapings) can be turned into compost with the in-vessel composter. 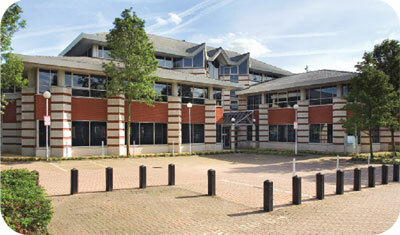 kompost is working in partnership with Catermasters the on-site contract caterers, at this client site. 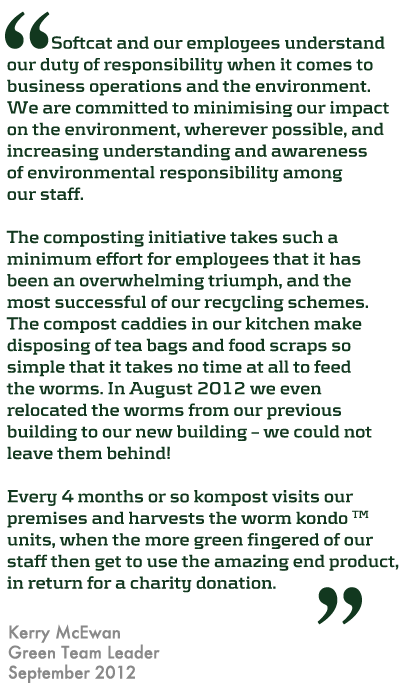 Catermasters are a contract catering specialist that provides fantastic restaurants, delis and coffee bars to 120 clients across the UK. They only use the best ingredients in their kitchens, they only employ the most talented people and they believe their customers' food experience should always be engaging and memorable. 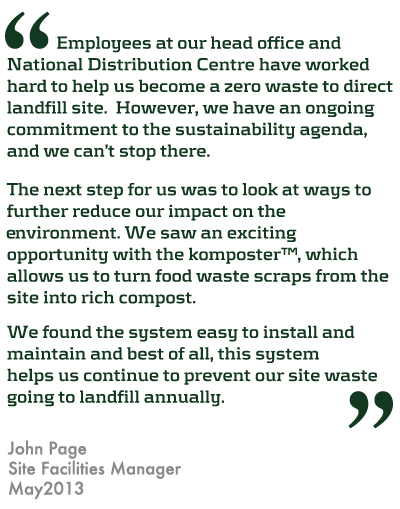 Their approach is nice and simple. 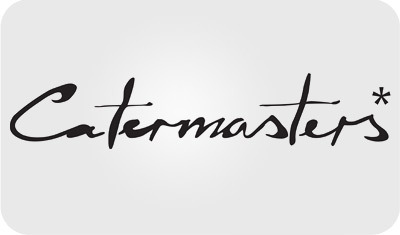 The founding principles of Catermasters are to bring a new level of innovation, flair and passion to the workplace foodservice industry. 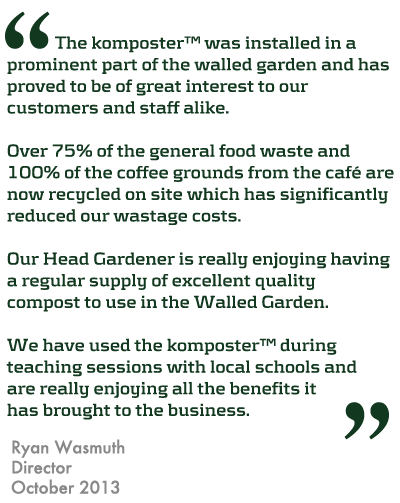 In the 2012 Times Top 100 Best Companies survey, Catermasters were awarded a two-star Best Companies accreditation and installed at number 59 in the Top 100 medium-sized companies to work for. They've also held the Investors in People (IIP) accreditation for a decade. To coincide with the redesign of workspaces in this Slough based office, it was decided to remove individual desk bins and to introduce centralised waste and recycling stations. Food waste caddies were placed in break out areas to capture the used tea bags, fruit scraps and other lunch left overs. Food prep and plate scrapings are collected from the Catermasters restaurant and also fed into the system. 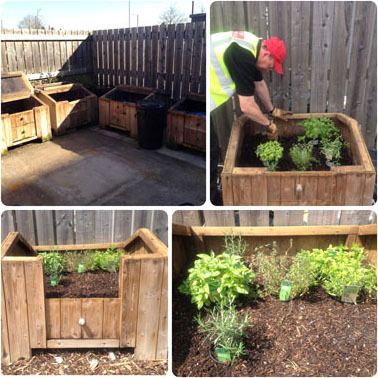 Early on, two raised beds were installed and the catering team from Catermasters is growing peas, two types of lettuce, basil, mint, oregano, rosemary and coriander. By removing individual desk bins and introducing communal waste and recycling bins the aim is to recycle more, compost more, and further reduce the amount of waste sent to landfill. 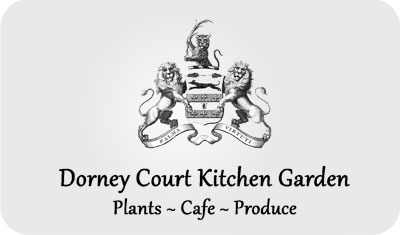 Dorney Court Kitchen Garden is an inspirational venue, combining great plants, fresh food and local produce, all set in the historic grounds of Dorney Court Estate. 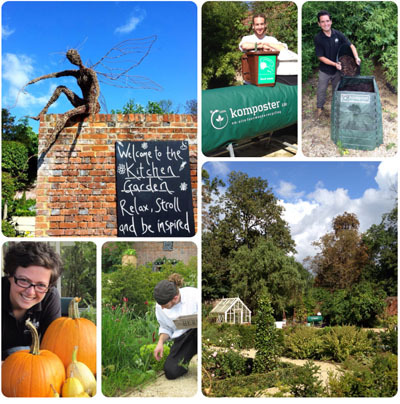 The Kitchen Garden Café prepares seasonal food each day and serves breakfast, lunch and afternoon tea. 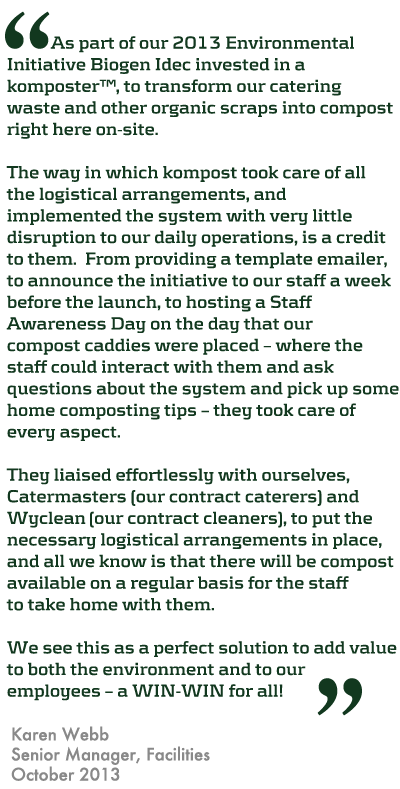 Many of their dishes are made with produce harvested that morning from their Walled Kitchen Garden. 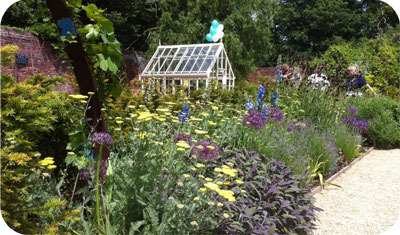 DCKG hold fun, educational workshops throughout the year, for kids and adults to learn all about growing food. 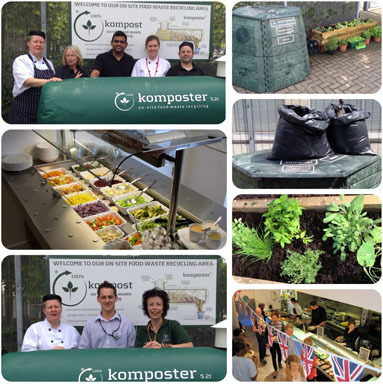 The komposter™ brings DCKG full circle, as they are now able to recycle the food scraps from the Kitchen Café and in turn use the resulting compost in the Walled Garden to supply produce back into the kitchen. 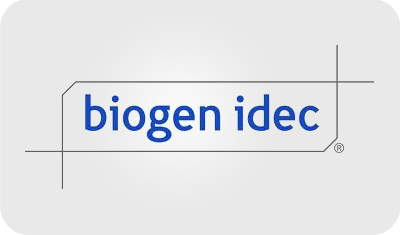 Through cutting-edge science and medicine, Biogen Idec discovers, develops and delivers worldwide innovative therapies for the treatment of diseases and disorders. To their employees, they are an exciting and invigorating place to work, an ambitious and nimble company where courageous innovation is encouraged and expected — not just of scientists but of every employee. Across the company, in marketing, sales, quality control and human resources, people are empowered to challenge conventional wisdom and propose better ways of doing things. Biogen Idec is committed to sound principles of corporate governance and believes that such principles are critical to their success as a company and to obtaining the trust and confidence of their stockholders, employees, customers, distributors and suppliers. The Biogen Idec UK Team in Maidenhead take care of Sales and Marketing, Medical Affairs, Finance, Human Resources & Information Technology. 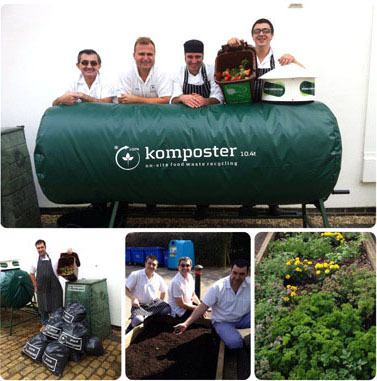 As part of their 2013 Environmental Initiative they invested in a komposter™ to transform their food waste into compost. 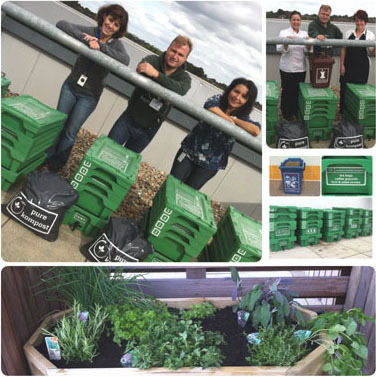 Biogen saw this as a perfect solution to add value to both the environment and their employees. The team from Wyclean, the contract cleaners, assist with the logistics of getting all the organic waste from the office floors to one central point, from where the Catermasters team, the on-site contract catering company, is in charge of the daily operation. 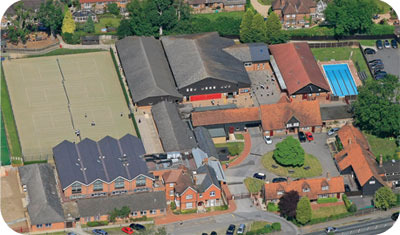 The Beacon School is located in the village of Chesham Bois, near Amersham, in Buckinghamshire and is an independent preparatory school, educating almost 500 boys between the ages of 3 and 13. Catering at The Beacon is provided by Wilson Vale Catering. 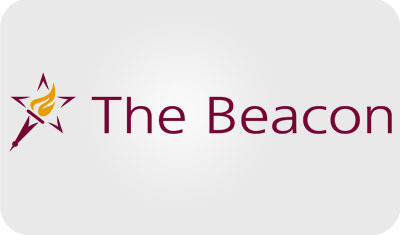 At The Beacon food is an important element of daily life. 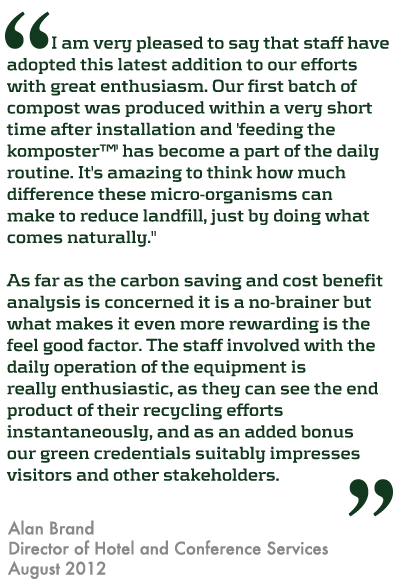 The school is committed to providing pupils with nutritious, exciting, well-balanced food, using fresh and locally sourced ingredients. 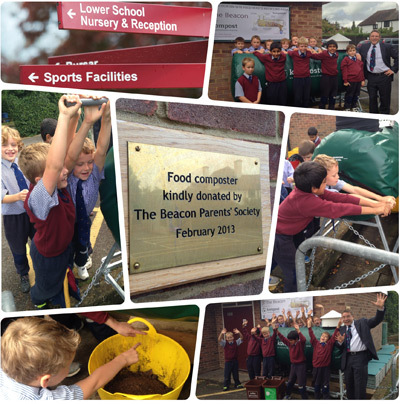 Wilson Vale Catering share their commitment and have clear philosophies around the food they serve. 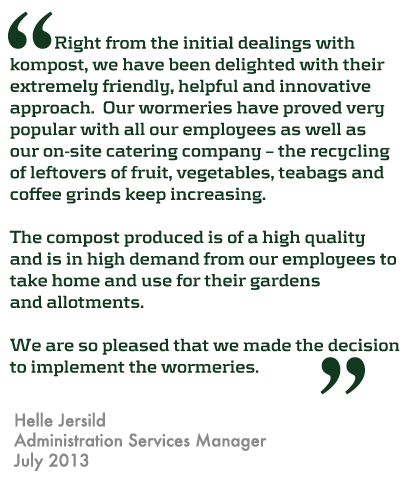 * Menus are developed on a weekly basis and take full advantage of seasonal produce. * Meats served on the salad bar are freshly roasted by the team. 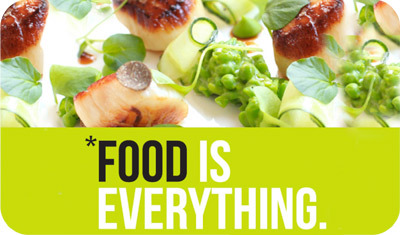 * As much food as possible is made on site with emphasis on fresh ingredients. * A range of homemade puddings, cakes, biscuits, yoghurt pots, and fruit salads is made fresh every day. * They only use locally sourced free-range eggs. * They encourage children to be adventurous by introducing themed menus where they are exposed to new flavours and tastes. * They operate a no nut policy and cater for a variety of special diets. 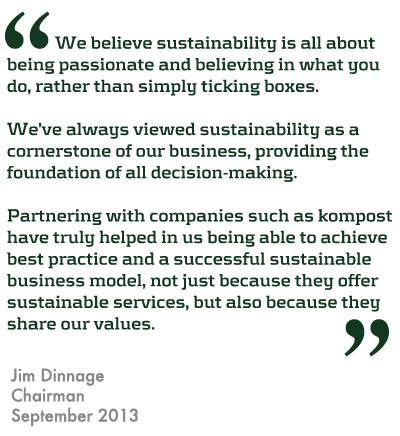 * All of the food produced is free from artificial additives, preservatives, E numbers and hydrogenated fats. Emma Powell, the Area Manager, looks after a team of 10 staff to feed over 580 pupils and staff a day for lunch. Lunch consists of two main courses, a full salad bar, hot dessert, fruit and yoghurt pots. Throughout the year there are themed days such as Caribbean, Mexican, Italian and the Queen’s Jubilee, some of which tie in with the school curriculum. The catering team also provides match teas, hospitality buffets and occasionally fine dining events. The komposter™ was purchased through funding from the Beacon Parents’ Society and will be looked after by the Wilson Vale team. 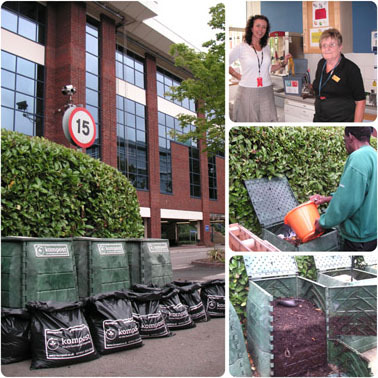 It is planned that the resulting compost will be available for staff and parents to take away and for some to be used on site.